"Look under your seat... it's a dream come true". Jane chats Trevor Noah and more in today's edition of the 'Hot Gos'. You know you have arrived when you get to sit down and chat with the one and only television queen, Oprah. 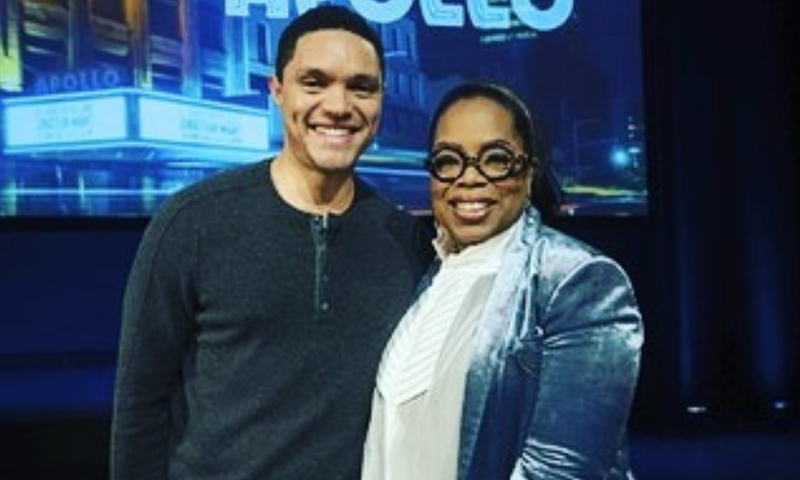 The show was hosted in New York City in front of a live audience, where Oprah had conversations with Salma Hayek, Jordan Peele, and Trevor. The interview airs on 27 February in America and we're just hoping we can access it too! Sometimes you just need to sit on the loo for a timeout session, right? For the past week, my Instagram has been flooded with images of New York Fashion Week, and it looks amazing there! It is a swanky affair but Posh Spice has proved that in the end a girl has got to do what a girl has got to do! Former child star Amanda Bynes has come out of the woodwork after years of drama and bad press. Could she be making a comeback? Who doesn't love a comeback, especially after a hard time in the public domain? It must be so horrid falling apart for the world to see, just look at Britney, those pics of her raging with a shaved head, eish. Look at her now, too cool.